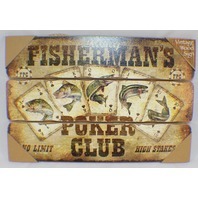 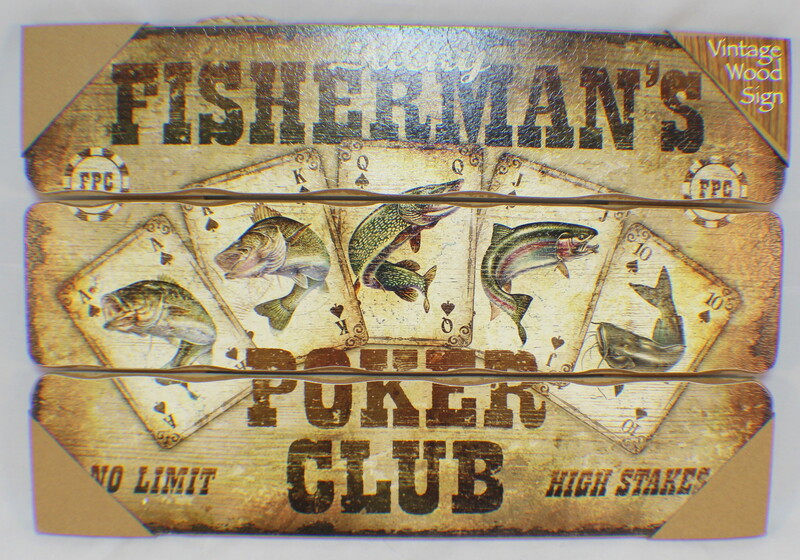 Up for your consideration is a "Fisherman's Poker Club" wooden sign plaque. 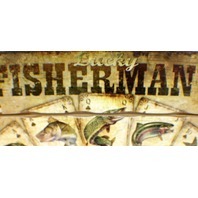 It measures approximately 18" x 12" and has a vintage distressed patina to the finish. 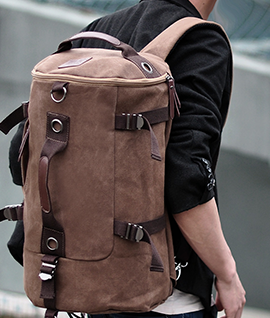 It comes with an attached rope cord for hanging.